Firstly, myself and Jode would like to take this chance to thank everyone over the past 12 months that has either attended or helped out at our fantastic parkrun. After starting the year off with our New Years Day event and using a reverse route (to help people realise its easier the normal way!) we smashed our attendance record previously at 258 with an astounding 373 runners! The big question is though, do we make this an annual event and hold the run in reverse each time? 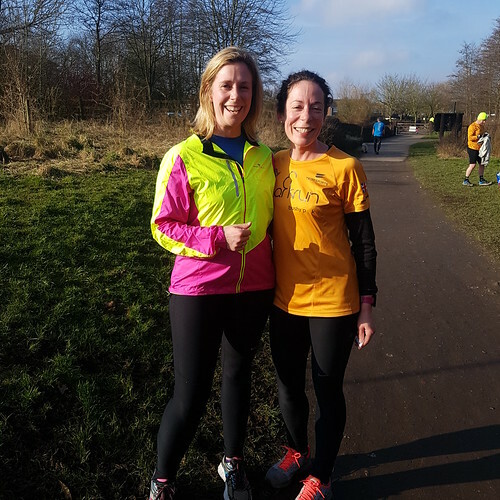 We also had a guest visit by Nicola from 'With Me Now' who tour around parkruns and collate information to share with other parkrunners on their podcasts, she also took me to one-side during the event to interview me and find out a little more about Brierley park and all it offers! Since the New Year run we have returned to normal service with numbers of runners and the route we use, although some might add that the new found potential fame I'm going through is getting to me slightly! 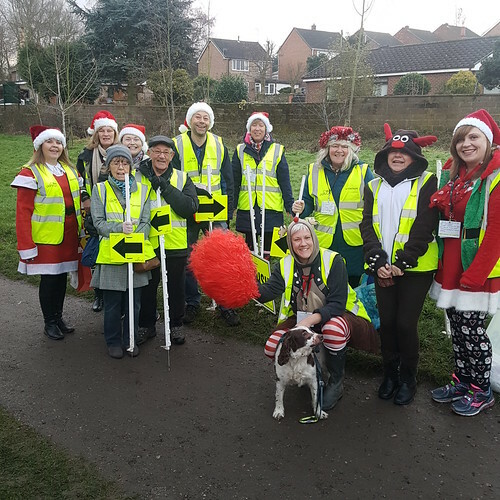 Looking back at the year's happenings with the run, we feel that the volunteer base is pretty strong which is very encouraging, we are supporting two Duke of Edinburgh schemes with another one currently about to start. Our core team has always been stable and present, but now we feel that maybe we should grow the team and open it up for people to come forward and take an active role in it where their ideas/plans could be put into place to help the event for the future. So if you are interested in what this could entail or have 'oodles' of stuff you think we could make use of please send us an email with your details or post on our Facebook page and we'll get back in touch with you. So much has gone on within the park itself with the cafe having a refit to house the new caterers along with the new adventure playground that has been built alongside part of our run route. There has also been our first parkrun 'baby', little Harry, who now joins in with the runners, being pushed along by a proud dad or mum! With so many eventualities, does that mean a wedding run is the next thing that will be in our reports? Mel and Pete have particularly expressed and interest in Jode's offer to become and ordained minister to host the ceremony. When we started out we setup a fundraiser so we could purchase and install a 'defib'. This has now been set up and fitted to the outside wall of the visitor centre so it is available for all park users at anytime of the day. We also used some of the funds to invest into providing our own storage shed to try make our equipment more accessible after some issues with storage areas. We are also looking to use some of our funds to update some signage and equipment for the benefit of everyone, all will be revealed in the coming months. We've had quite a few takeovers this year to make the year even more memorable, these events were supported by the filling of all volunteer roles by the teams involved, which was particularly nice as it gave Jode and myself time to relax and just let the event happen. 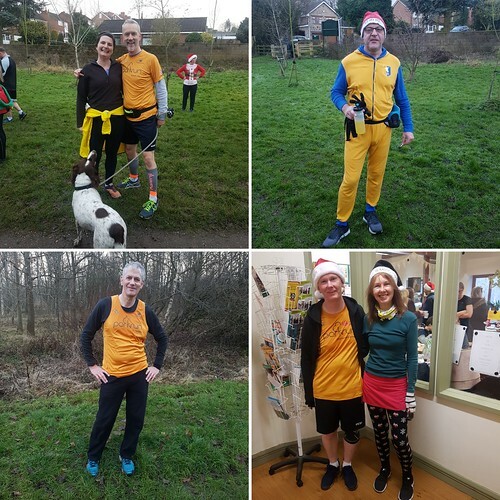 So our thanks to the 'Juniors', 'Kimberly & District Running Club', 'Sutton in Ashfield Harriers', 'Huthwaite Hunnies (NWR)' and 'the Running Wilburys'. You may have noticed we have also changed the way we do our run reports, even though I am writing this on the media that is recommended I have just chosen to use this to allow me to drivel on even more than usual! We now make use of the Facebook page to report on all the goings on at our event as we try use all 6 days between the events to publicise whats been going on. Hopefully in the near future we maybe able to report on other platforms of social media, please keep an eye out for updates in the future for more information. Previously when photos were taken at the event we put them on the Flickr page for everybody's access, however things are changing with Flickr and we now find ourselves having to re-home all of our pictures on file, we will be updating the photo storage page in the near future and keep you informed about where they will be. That about covers briefly of what there is for this report, I'd like to thank you for reading this far, its not often anyone pays that much attention to me especially all the way to the end - I do rattle on a bit, I know! Have a Great 2019, may all your parkrun goals become reality! Thank you to all of our volunteers who supported our event and had a cheery smile even in the rain. Conrad Watson, Claire Watson, Wayne Lowe, Jodie Binch,Roger Wiesli, Ted Hallett, Jackie Hallett, Phoebe Taylor, Emma Hayden-West, Harry Burnside, Darren Edmonds, Paul Hillman, Kirsty Willetts, Chris Taylor, Sally Woodhead, Elaine Woodbridge and Paul Castledine. We were joined by 109 runners and walkers including our 3000th participant to cross our finish line and first celebrity of the day, Avril Sweeney. 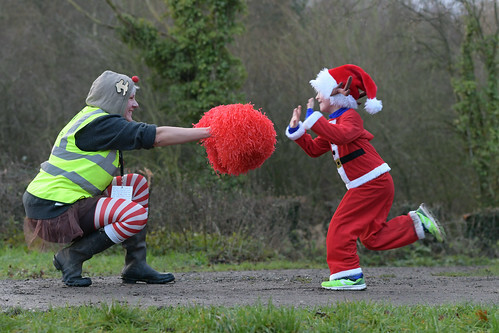 What makes our parkrun so special is the mix of different abilities. Both Edward and Adam run together most weeks, with Edward a club runner at Sutton in Harriers and Adam a recreational runner. Adam does make up for it with being an ace cyclist though. 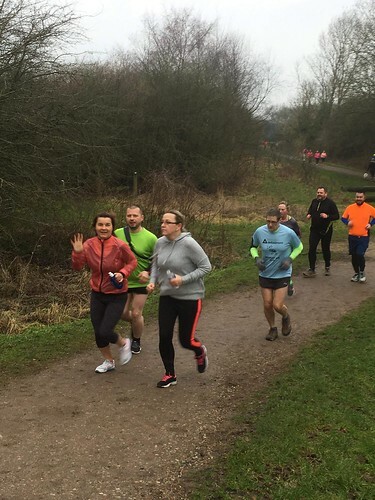 Our parkrun community is extensive and today saw one of the Run Directors from Mansfield parkrun join us. Liam Probert finished in third position and is welcome back in the future as both a runner or volunteer. Welcome to our 9 first timers and congratulations to our 7 runners who achieved a new PB. A great result in very wet conditions. First male and female to finish the course this week were Richard Holden with a time of 19:16 and Fleur Pickering in 23:12. Well done to you both. After volunteering previously twenty times, today was my first time as Run Director. 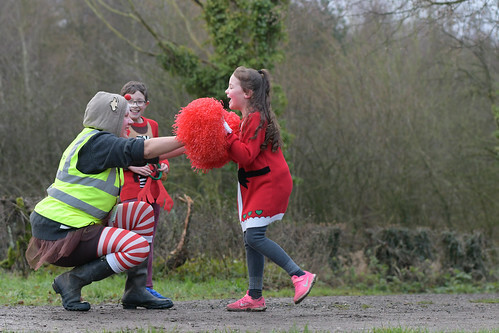 It is important that we all help out when we can and support the sustainability of our future parkruns. Every task is really easy to learn and we are a friendly bunch. Please let us know what task you would like to learn first? It was another cold one last Saturday as we made our way down to the park to set up for the week's event. 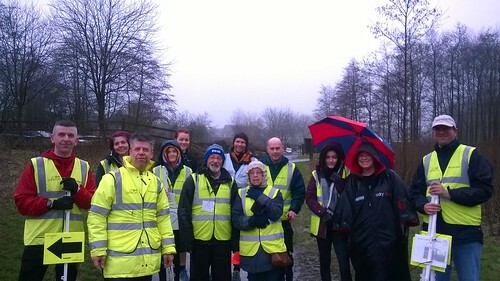 Thank you to our 21 volunteers who braved the elements to make sure your parkrun could go ahead! 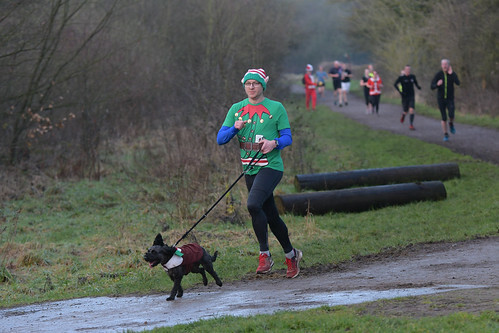 We were joined by 134 runners and walkers this week, including Simon and Iris doggie and a parkrun uk NEWSLETTER celebrity! 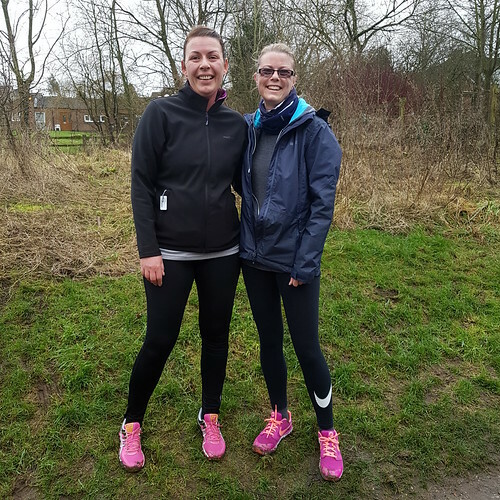 Joanne and Alice from Long Eaton parkrun joined us for a run last weekend. To read their parkrun story click HERE. We hope to see you both soon...although Joanne did say Brierley Forest was much harder than Long Eaton which is considerably flatter. 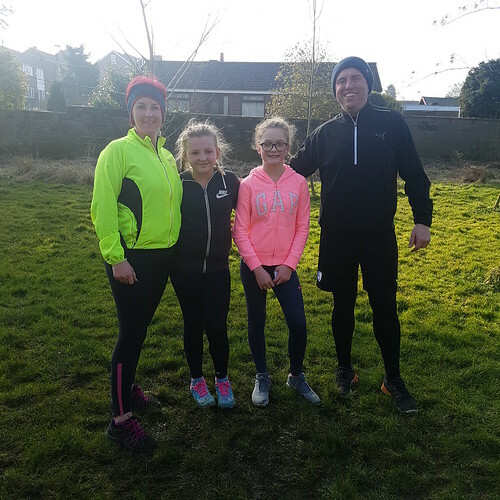 Twenty-three first timers came to run our course this week including the lovely Etherington family mum and dad Marianne and James with their daughter Molly and her friend Jess! We were also joined by twin sisters Emily and Victoria. Both touring from Markeaton and Bushy Park! Other tourists travelled from Rowington, Leeds and Lancaster including Ben and Louise Gill from Lancaster. It was PB's all round as 24 we're recorded including Darren and Paul who rang the PB bell with new times of 20:43 and 20:48! 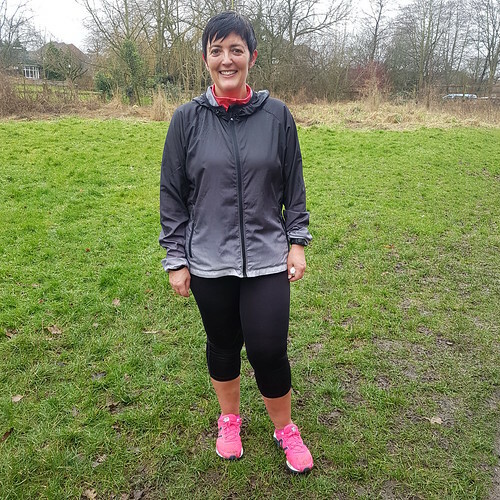 And MASSIVE congratulations to Sarah North who celebrated her parkrunaversary with us too. A year ago Sarah ran her first parkrun at Mansfield in a time of 36:18, today she completed the course in 26;53! What an achievement...well done Sarah from all of us! We're extremely proud of you. First male and female to finish the course this week were Neil Cope with a new PB time of 17:18 and junior Caitlin Dodds in a time of 23:25. Today's full results and a complete event history can be found on the Brierley Forest parkrun Results Page. We are please to announce that our paper token competition has now ended as token 76 has returned from its little holiday on my mantlepiece. The lovely Rachel Richard won the paper token prize of a free parkrun anywhere in the country last weekend. Congratulations Rachel! We are, however, on the lookout for parkrunner number 89 this week who will be our 3000nd/th (not sure which that is?!?!) participant to cross the Brierley Forest finish line! 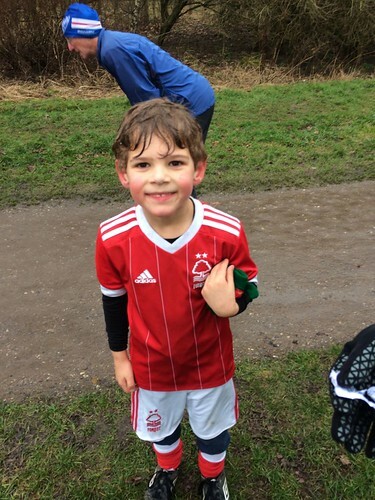 Tomorrow, our parkrun regular Nick Burnside of Sutton in Ashfield Harriers fame will be your Run Director! Please be kind with him...we're hoping he will become a regular to the team. The one with the milestones! We welcomed back Edward, one of our valued regular marshals from his holidays in Canada. He is a jet setter these days, so make sure you catch him cheering you on from Edward's bench for the next couple of weeks, as he's off to South Africa then. Here he is with Jode, Adie and Alex all looking happy ready for the fun to begin. 2) If you park in the second parking area after the gate, please close the gate once you're through if there are no more cars coming in after you. This will be locked late morning as always. We had tourists from Anglesey, Cwmbran and Rushcliffe and of course our milestoners from Southbank Bar Running Club you will have seen on our FB page, if you follow us (please like our page if you haven't already). 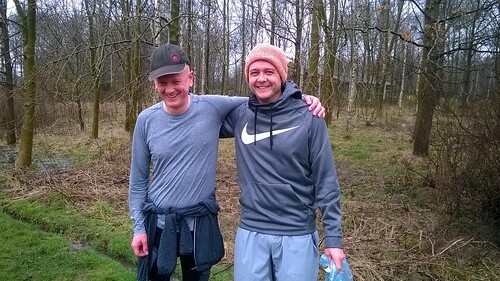 Here they all are, Des Oldham after his 50th and Ian Warren after his 150th parkrun, great achievement chaps well done. 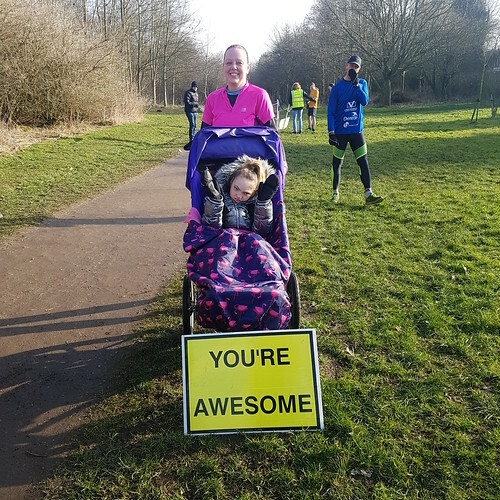 166 people ran or walked our course, of whom 30 were first timers like Samantha below who was an absolute superstar and was so pleased to complete her first parkrun, celebrating here with her brother. See you in a couple of weeks. We also had 39 PB's and love to hear the bell ringing, please come over for a photo and you might be like these lovely people below and make it into our report. Tag away if you recognise yourself or friends to let them know on FB post. Ok, if you like the photos here or have some you would like to share, head over to our FLICKR page and sorry for my slightly waffley pre run brief this week, I promise to be less woolly headed - until then it's over to our lovely ED Jode. Well as I woke up to an early alarm call on a Saturday morning I wondered to myself what on earth am I doing?! I was full of nerves and excitement as I contemplated being Race Director for the first time. Those nerves quickly dissipated when I arrived to be fully supported and assisted by our fantastic volunteers. Sadly the weather was not kind it was wet and very cold but this did not put a dampener on our spirits and we continued to cheer on all our runners. This week 137 people ran, jogged and walked the course, of whom 18 were first timers and 30 recorded new Personal Bests. Representatives of 13 different clubs took part. If you wish to view a full breakdown of the results they can be found on the parkrun results page HERE. 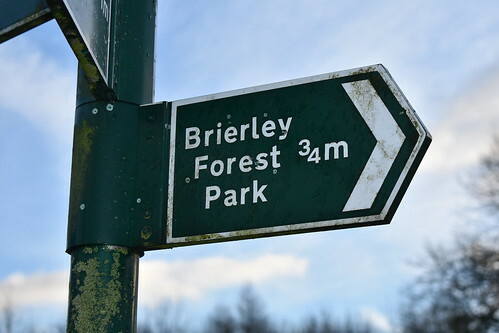 This week we hosted tourists from Bracknell and Cornwall and we extended our usual Brierley Forest welcome to them as we do to all our visitors as well as our resident runners. 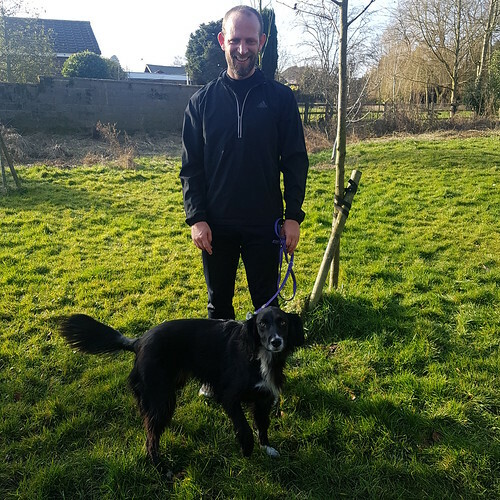 A special mention to our very own Jason Ward on his milestone 50th parkrun, well done Jason and Andrea Porter who ran her first parkrun this week, welcome Andrea. So as I floated around watching you all cross the finish line I took the opportunity to reflect on what makes Brierley Forest parkrun so special and there was one word that sprung to mind, family! 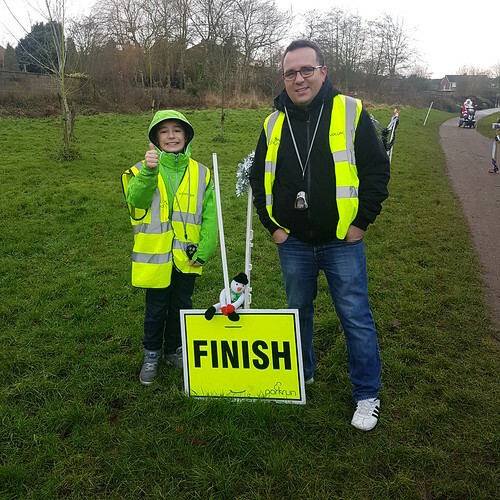 We try to create a family friendly atmosphere and volunteers and runners alike all create a family like unit which we all hope you enjoy being part of as much as we do. And brother and sister William and Imogen Raynor who cheered each other on until the end along with Mum and granddad. This week's first male was Lewis Boswell with a time of 18:19 and the first female was Fleur Pickering with a time of 22:50. 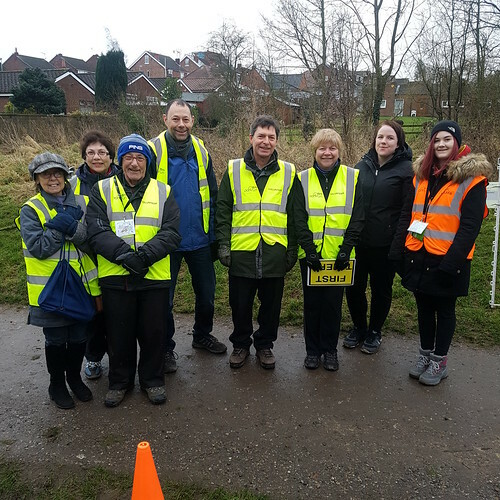 Remember if you feel like giving volunteering a try then we are always happy to hear from you at the office on brierleyforestoffice@parkrun.com. Can we take this opportunity to thank you for your patience during this period of restricted parking at the park we know it has been a challenge. We are pleased to say that our visitors have now left so parkring is back to normal which will enable a prompt 9 a.m. start this Saturday but do not forget your barcode #DFYB. Finally a big thank you to the family for all your support I will happily return to continue to assist this great event to take place. This week we had some light rain which was most welcome as that meant the temperature was rising from the near freezing temperature that we awoke to leaving some light ice patches around the course which were negotiated supremely by all participants. We even had a light snow flurry during the run to remind everyone that winter is still with us! 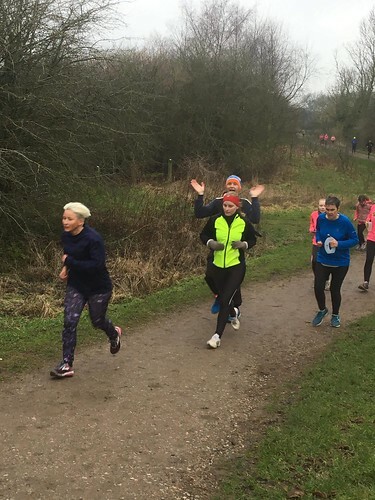 Not put off by that 123 people ran, jogged and walked the course, of whom 31 were first timers and 22 recorded new Personal Bests, 10 of which are new to parkrun with 5 runs or less, proving that perseverance certainly pays off. Once again we had a selection of tourists making their debuts from Rother Valley, Wimpole and Trentham. We welcome anyone to our run as that is the spirit of parkrun, all we ask you to bring each week is a smile and your barcode! #DFYB. Please can people check that their ICE details (In Case Of Emergency) are kept up to date on the parkrun profile, it only takes a minute to update and just crosses the t's after you've dotted the i's with a scan-able barcode. I will take a moment and thank you all for adhering to our parking advice and directions during our period of restrained parking areas. This weeks the event was made possible by our fantastic volunteers - Lauren BAKUNOWICZ • David HERBERT • Bethany HERBERT • Lesley TAYLOR • Phoebe TAYLOR • Craig FREESTONE • Simon CREAK • Katherine ROBINSON • Mia PIDCOCK • Steve HALLETT • Ann GRAHAM • Roger WIESLI • Eve ELLIOTT • Natalie HALLETT • Caroline FRITH • Lesley GOODMAN • Elaine WOODBRIDGE • Ted HALLETT • Jackie HALLETT • Ethan HALLETT • Lynsey FREESTONE • Sophie HARRISON. If you ever feel the urge to lend a hand or just fancy a week off from running we would be happy to hear from you at the office brierleyforestoffice@parkrun.com where we can work around your calender (No date is too far away!). Come and be a part of something that really can inspire and motivate you into seeing how communities make a difference. If anyone has any suggestions or ideas we can incorporate into the event we are always listening and keen to hear them. Currently at the park, things are changing slightly with the cafe and visitor centre closed. But please bear with us as we aim to not let anything spoil the events and hope to share some news very soon. We have some takeover events happening really soon, more details will be announced very soon. If running is something that you have been doing for years or just started, there is always a running group nearby that is willing to support and accompany you or provide depth of knowledge and advice that can enhance your desire to improve or maybe you just want to be make new friends and get more involved locally. 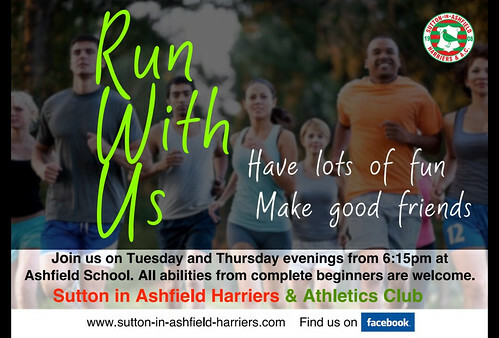 Our local running club to Brierley Forest is 'Sutton In Ashfield Harriers'. We also have 'The Huthwaite Hunnies' & 'Sutton Smilers' that get together with times available to suit most people. If you need any further information please don't hesitate to ask us. Remember we no longer have the use of our wonderful cafe. We do have access to the football grounds toilet block which has a little shelter. The cafe will open at 10.30 am if you do wish to wait around otherwise we may pop to the local golf club, a five minute walk away to process the results and we'd love you to join us. That's it from me this week, thanks for reading, I'll be seeing you all soon. As many of you are aware we have a few visitors to Brierley Forest parkrun which has made our parking situation a little harder than usual. We thank you all for parking in various locations around the park to ease congestion and ask that you will repeat this again this week. Thank you all for your understanding. Because of this it was a much quieter week than usual with many of our parkrunners decided to tour instead. We can report that everything at Brierley Forest ran as normal with little disruption from our travelling friends so please do not let their presence put you off. This week 144 people ran and walked the course with 17 new PBs recorded. Well done to James Hoop, Dan Ellis, Gary Moss, Laura Raynor and Marie Copeland to name a few. 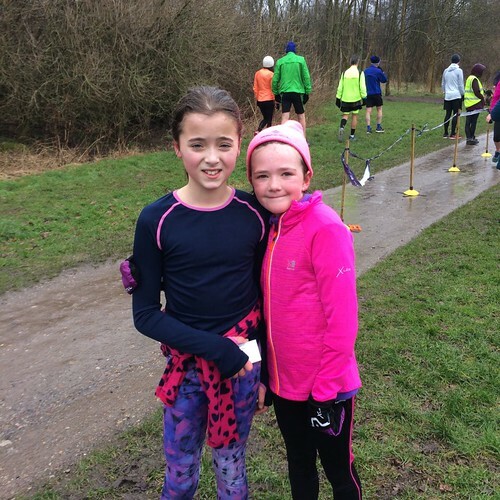 We had lots of first timers to parkrun this week too. 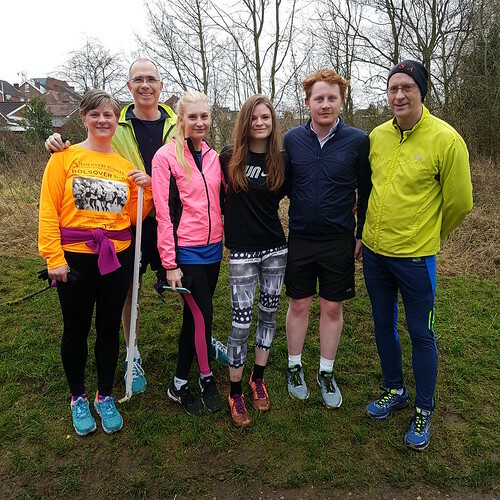 Caroline Knight, Phoebe Taylor, Richard Smith and Alexander Jones were some of those who laced up their trainers for the first time to join the parkrun family. We hope you enjoyed it and you'll be back again soon. HUGE congratulations to our lovely regular Lauren Bakunowicz who completed her 50th with us on Saturday too! We had tourists from lots of places I can now locate such as Sheffield, Sussex and Buckingham and also Pontefract which I found out is absolutely no where near the south of England! Who knew I once scored 100% in a Geography exam? Thank to Laura, visiting from Australia who bought her family and friends from Clay Cross to run our course. 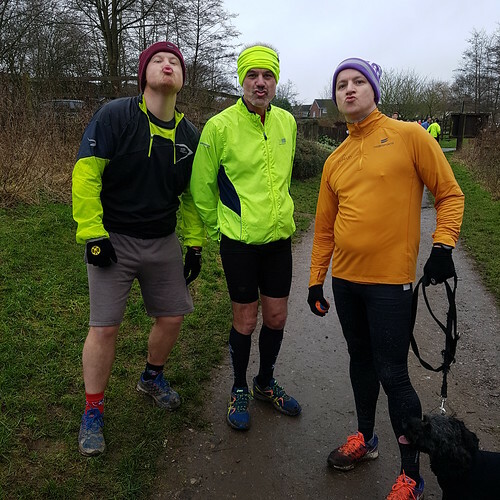 Shout out to Foxy, Mark and Jamie who all ran a good few miles to add the Mountain Goats Billies V Nannies Challenge. As always a huge thank you to them all. Please email us as brierleyforesthelpers@parkrun.com if you wish to join our team. We would love your help. All roles are easy peasy and come with training. Remember we no longer have the use of our wonderful cafe. We do have access to the football grounds toilet block which has a little shelter. The cafe will open at 10.30 am if you do wish to wait around otherwise we may pop to the local golf club, a five minute walk away to process the results and we'd love you to join us. On my return to the Run Director post after the festive period I was joyous to see the mild weather allowing us to carry on our good start to the New Year but more importantly seeing so many of you supporting your local event - 180 runners we had this week which just highlights the determination by all runners that come to Brierley Forest. But of course we can’t forget the people that make it all possible every week, The Volunteers, this week we had 17 of them! But without their support each week regardless of the conditions they enable the run to go ahead each week. I know some people think there’s a lot more to it than just volunteering, sure the RD role can look a daunting task, but everyone involved with the parkrun family supports everybody there for all the best reasons. 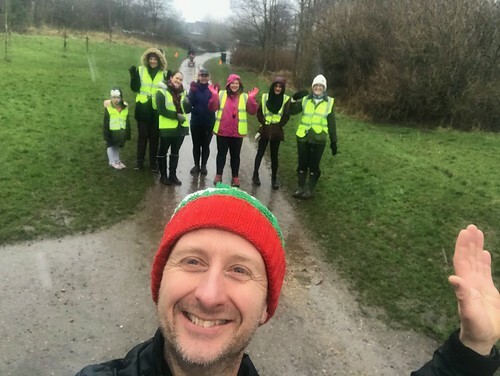 If you see anyone taking pictures they are normally found on our Flickr page here https://www.flickr.com/groups/brierleyforest-parkrun/ or on our Facebook page https://m.facebook.com/brierleyforestparkrun/ Just one last point to bring up about the park and it’s surrounding residents - Parking, we’ve mentioned this before and just ask for our participants to utilise the car parks available rather than roadside parking outside their homes, I shall add the ‘ please’ now to show I’m trying to shy on the side of politeness. Thank-you all for taking the time to get this far in my little word rattle, look forward to seeing you all again soon. The First of the Year One! And what a wet and windy one the first of the year was. 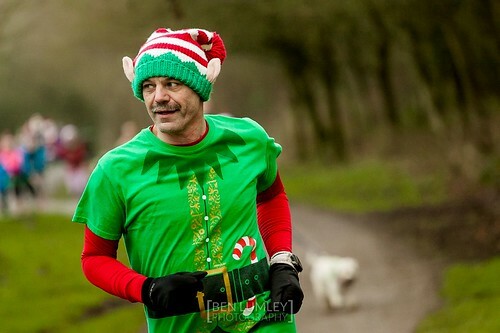 Still, that didn't stop 174 of you fabulous people from turning up to run and walk the course. 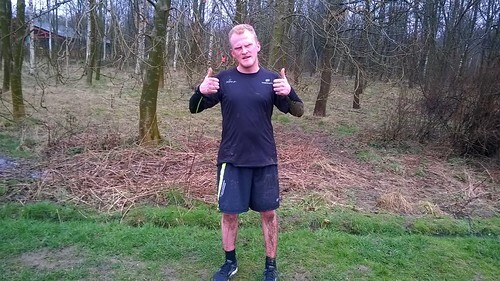 In a short and sweet fun report this week we can tell you that we recorded 13 personal bests, well done to Paul Castledine, Tony Baronowski, Kate Shaw and Adie Whitehead to name a few. We were visited by tourists from the 'other side of Notts' and HI to Richard Sheldrake, James Hoppe, Matthew Ratcliffe and Ruth Swain who were amongst some of the first timers to Brierley Forest - we hope to see you again soon! 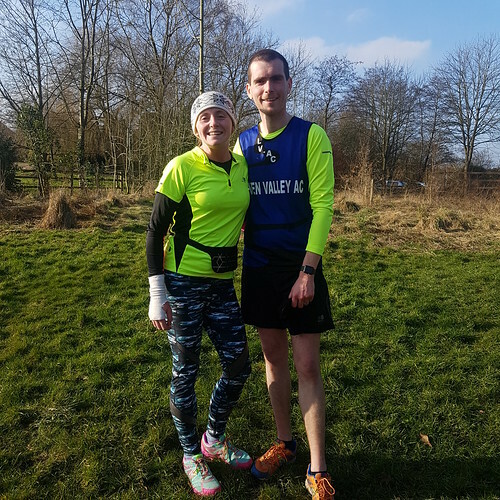 Huge CONGRATULATIONS to Olivia Deacon who joined us to run her 100th parkrun as well as Daryl Lacey who ran his 50th. We'd also like to shout out to fifteen of you who joined parkrun for the first time ever...we can't list you all but well done to Melissa Chesterman, Dawn Hills, Samantha Shaw, Hesta Bailey and Robert Thellmann and the rest of you too. Same time tomorrow? All our latest results can be found HERE. 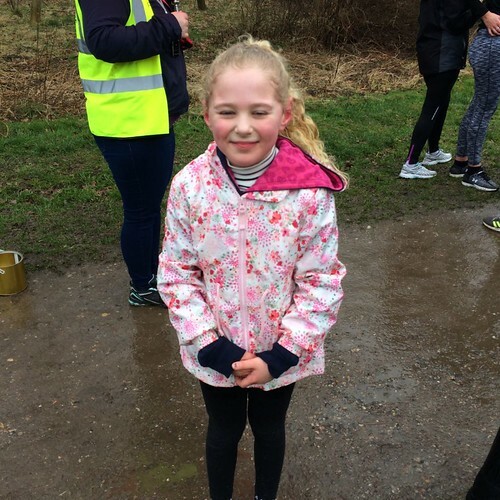 Of course a very special mention must go to Lilly Holmes, who at just 5 years old joined us for the first time on Saturday and ran the whole course! We are super duper proud of you Lilly! 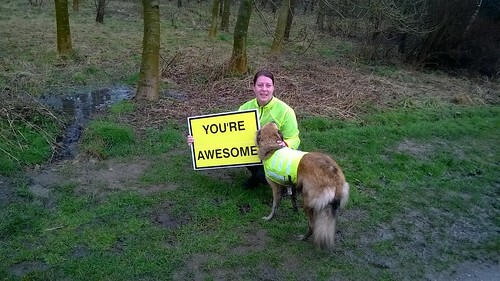 If you want to be a hi-vis hero drop us a message at brierleyforesthelpers@parkrun.com and we'll find you the perfect role. 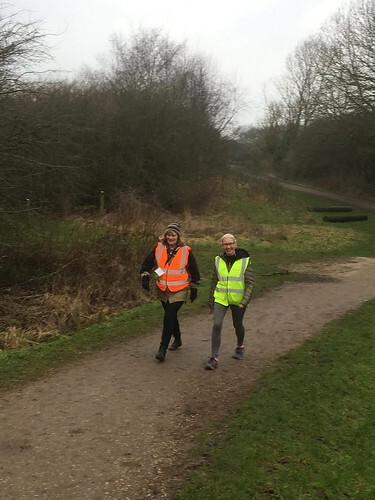 We would like to welcome our DofE volunteers Phoebe and Mia to our team and we're on the look out for some more run directors, so if you fancy taking over the reins and joining us, please drop an email to me or Dave at brierleyforestoffice@parkrun.com and we'll show you how. For all our latest and most up to date news make sure you follow our FACEBOOK page. We've ended the year on a bit of a downside...not as much Brierley Forest parkrunning as we'd have all liked due to the weather conditions. But this has been a learning curve for the parkrun team too. There is nothing worst than letting our runners down but ultimately the safety of you all is our utmost concern. The worst spots of our course are around the back where Emma lovingly shakes her pom poms every week. However, despite her devotion to her spot she cannot get the sun to shine the same way, to melt the ice along the train line and on the path back to the pond. The sun, unfortunately, doesn't entertain this part of the park until early evening by which time it's lost its ice melting warmth. We may look into providing ice-skates for this area in the future. 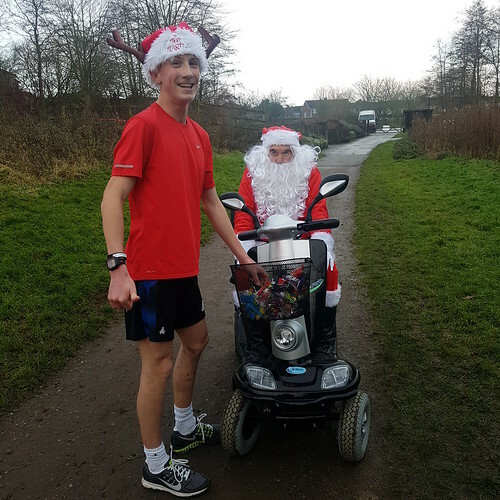 Luckily, we managed to host our Christmas parkrun and as most of you know you'd been so well behaved and supportive of our wonderful, little parkrun that Santa himself downed tools and paid you all an early visit with treats galore for remembering your barcodes (some of you!) and constantly surpassing yourselves with new PB's! We are extremely proud of you all! 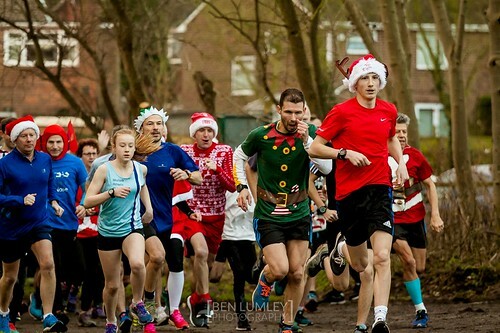 This week 207 people ran and walked the course, Ben Burnham led the field for the Juniors, crossing the line in first place in 18:04 and Claire Watson, our very own Mrs. Claus, was first female in a time of 20:51. 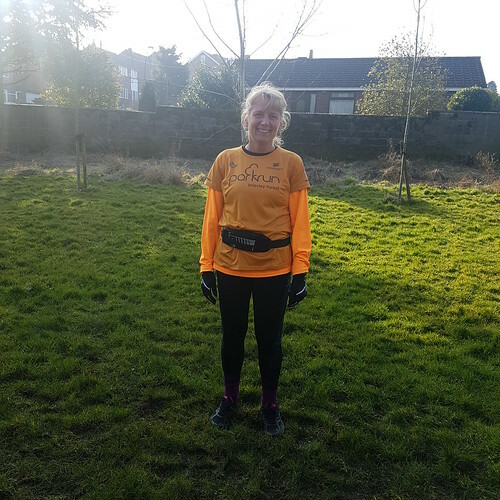 We were visited by 34 first timers to our course...special mentions go to Kylie Weightman, Cath Hulme, Terence West, Robert Jarvis, Jodie Smith and Anna Oliver who were all COMPLETE first timers to parkrun too! Well done all of you and we hope to see you all again soon. 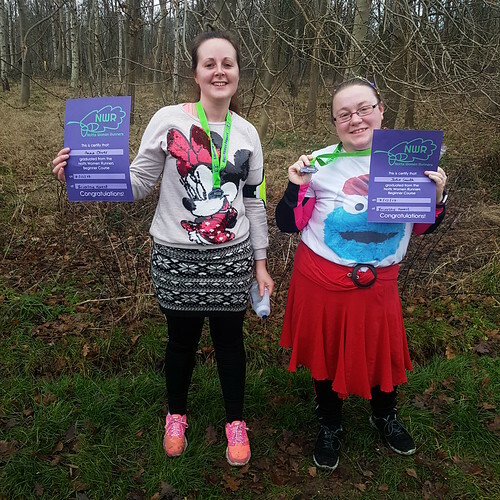 Congratulations to Jodie and Anna too who completed their NWR Beginners 0 to 5K course on Saturday too. 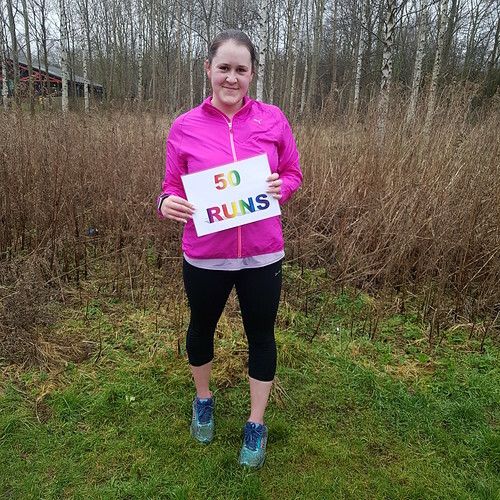 Well done also to Lauren, who we featured this week on our FACEBOOK page, who ran her 50th parkrun with us! Twenty-five brand, spanking new Personal Bests were also recorded this week. Congratulations go to Lee Purdy, Shaun Arrowsmith, Kate Ruffell, Rachel Allin and Geoff Voce to name a few. All results from last week's event can be found HERE. 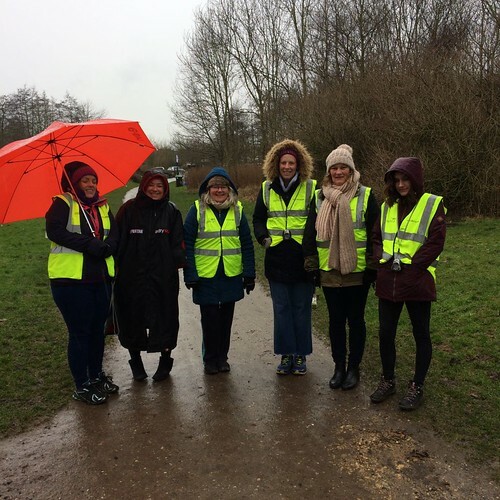 If you want to join our wonderful volunteer team and help us out one week just pop a message to our Volunteer Coodinator Marianne at brierleyforesthelpers@parkrun.com. Massive thank you to her for all her wonderful work this year filling our parkun roster every week. 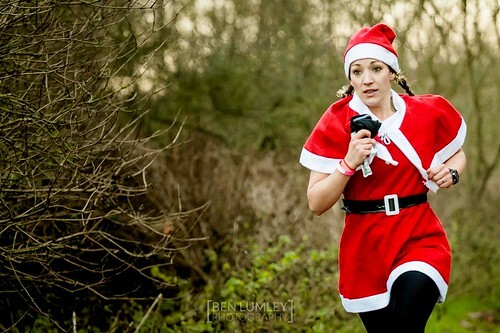 And special thanks go to Craig, Ben and Phil who all arrived with their cameras and took a whole load of AMAZING photos of you all in your festive fancy dress, these can be found over on our FLICKR page! We are extremely lucky to have some talented photography friends and really appreciate them catching our perfect parkrun moments. Over the past year we've been visited by hundreds of tourists. This week we had tourists from Canada - Denise is an RD at Richmond Olympic in Canada but has Brierley Forest listed as her registered home event! We love you, Denise! We also had visitors from Sheffield, Forest Rec, Gedling, Rother Valley, and Edinburgh! Huge thanks from all of us also to our human metronome Foxy for pacing lots of you over the last year! If you're ever wanting sub anything PB'S, pop over to find him. He's always happy to help. Looking back over the past year we can report it has been a FABULOUS one! Graduations from various NWR Beginners groups, pre wedding 'Hen Runs', takeovers especially the junior one which we will be repeating again soon, Halloween fancy dress and of course our first birthday! Not forgetting you all smashing the DEFIB fundrasising target for us...which hopefully will be being installed very soon! What a momentous year! 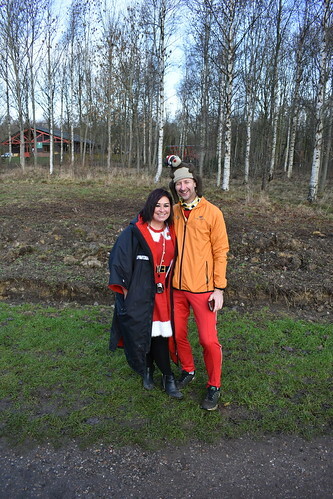 And with that...from myself, Dave and all the Brierley Forest team we hope you had a wonderful Christmas and we wish you all a fantastic start to the New Year! Here's to Brierley Forest parkrun 2018!